Change the temperature, edit schedules, and check-in on the comfort level at home from anywhere at any time using your smartphone, tablet, or computer. Custom heat and cool schedules adjust your thermostat during certain times and days that fit your lifestyle. You can also use Geo-Services to automate your thermostat to adjust when you leave home to save energy or when you are arriving home to stay comfortable. Avoid costly damages caused from extreme temperatures by receiving a text or email alert instantly when the thermostat reports unusually high or low temperatures so you can act quickly. 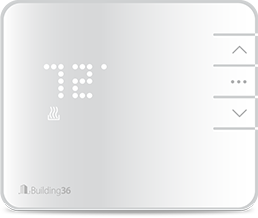 You can also receive an alert to notify you of changes made to the thermostat so you can keep an eye on who’s adjusting the set temperature. Monitoring the temperature of your home gives you instant alerts that help you identify system issues early or adjust the temperature to prevent frozen pipes, mold, and other consequences caused from extreme temperatures.